HDFC Ergo Hiring Freshers Trainee,HDFC Ergo Freshers Trainee,Freshers Trainee Opening in HDFC Ergo,HDFC Ergo Freshers Trainee Engineer,HDFC Ergo IT Associate,HDFC Ergo walk in interview Drive, HDFC Ergo Recruitment, Placement And Opening In Kolkata Jobs,Hydrabad Jobs,IT Jobs,Bangalore Jobs,Pune Jobs,Chennai jobs,Delhi Jobs,Gurgaon Jobs,Noida Jobs in India. 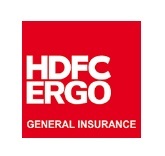 About Company :- HDFC ERGO General Insurance Company Limited is a joint venture between HDFC Ltd. and ERGO International AG, a Germany-based company that is part of the Munich Re Group. HDFC holds 51 per cent , and ERGO the other 49 per cent. Founded in the year 2002, the firm operates in 89 Indian cities with over 109 branches and 1,900 staff members Read more..